It's the most wonderful time of the year! 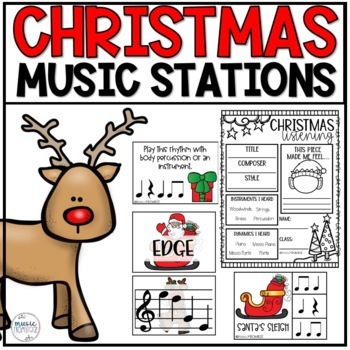 These Christmas Music Centers have variation so you can use them with all grade levels! 4 stations are included covering rhythm and pitch. Be sure to check out the PREVIEW for more information about this resource! Don't forget to follow me and leave feedback on your purchase to earn FREE TPT credit toward your next purchase! Hearing your feedback not only improves future products, but makes my day!